One of the popular professional football Player Jose Miguel da Rocha Fonte is popularly named as Jose Fonte who plays for Portugal National Team. He is well known celebrity. He is famous for contribution in professional life. He is best at Centre Back position. Currently, he is playing in Chinese Super League club, Dalian Yifang. He had played for Panafiel, Sporting CP and many more. His Shirt number is 4. He is representing himself in Russia for the World Cup 2018 as a part of the Portugal team by showing his talent to all. 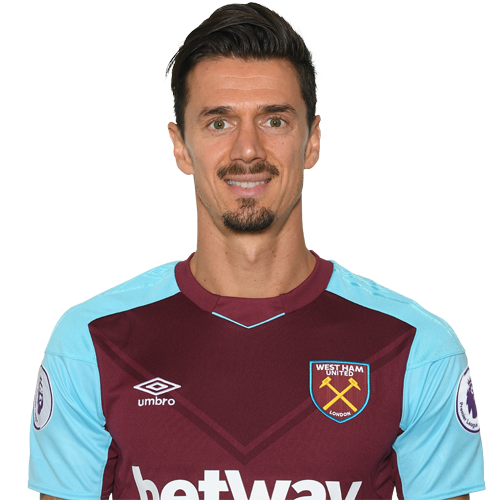 Passionate and enthusiastic player, Jose Fonte was born on 22nd December, 1983. His full name is Jose Miguel da Rocha Fonte. He was born and raised in Paafiel, city of Portugal. His nationality is Portuguese. Talking about his body, his height is 1.91 m. His weight is of 81 Kg. He has balanced body with good health. He began his professional career by joining Sporting CP club in 2002 after playing in different clubs such as Panafiel FC. Later, he joined Felgueiras FC. During 2005, Jose Fonte joined Portuguese Primera Liga side, Vitoria de Setubal. He then signed SL Benfica in 2006 was loaned by the club to teams such as Pacos Ferreira, Estrela Amadora and Crystal Palace. In 2008, he was made a permanent player for Crystal Palace and signed with the English Premier League club. After that, he was transferred with the fee of $1.67 million to Southampton for an agreement of three and a half year deal with the club on 9 January 2010. On 28 August 2010, Jose Fonte made his first goal for this club against Bristol Rovers and also won the Southampton’s Player of the Year in 2010-2011 season. He was a part of the team that went to win Football League Trophy in 2010. Again on January, 2017 he signed with West Ham United with an agreement of $11.13 for two and a half year deal after playing in Southampton. He made his debut for this club on 1st February 2017 facing Manchester City. He is now currently playing for Chinese Super League club, Dalian Yifang. He was there on a transfer fee of $ 6.95 million on 23 February 2018. He had represented himself in his national country, Portugal in both senior as well as junior levels in many tournaments. On 18th November 2014, he made his very first international debut in an exhibition match against Argentina after playing in his country side. He was also a part of member that won UEFA Euro 2016 Championship which was held in France along with his teammates named as Pepe, Christiano Ronaldo and so on. His name was also enlisted in the squad of Portugal national team in this World cup 2018 Russia. He had played in the World cup 2018. He is one of the active player in this World cup. Jose Fonte is married man with Cassie Sumner Fonte on December 21, 2011. She is a actress and a model. They seem to be very happy with each other. The couple makes public appearances together often. There is no any sign of Separation between them. They are living peacefully. They also have childrens named as Luca, their son and Luna, their daughter. Previously, Cassie dated Ghanian Footballer named Micheal Essein. The net worth of Fonte is around $5 Million with all of his properties and incomes. Jose Fonte’s annual salary is $4 million which he gets from the current club, Dalian Yifang. Previously, he earned an annual salary of $4.45 million from the club, Southampton. His market value is $6.26 Million currently. Fonte has earned huge name, fame and wealth through his football career. With his earning, he is living and blissful life with his family and enjoying a fine lifestyle.